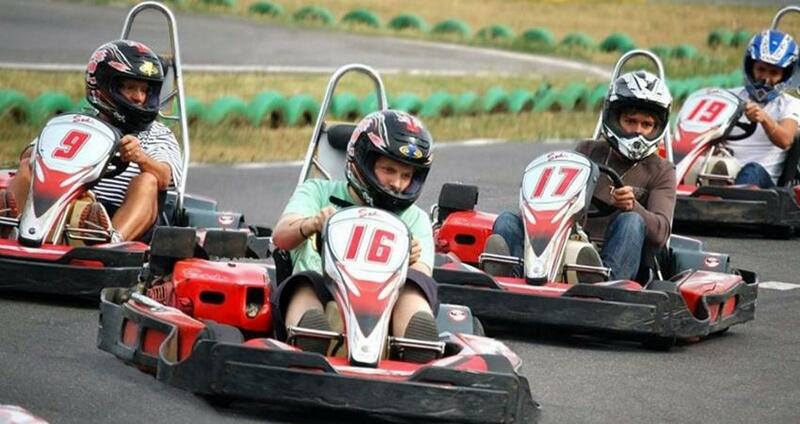 Take the opportunity to be a Lewis Hamilton for the day! 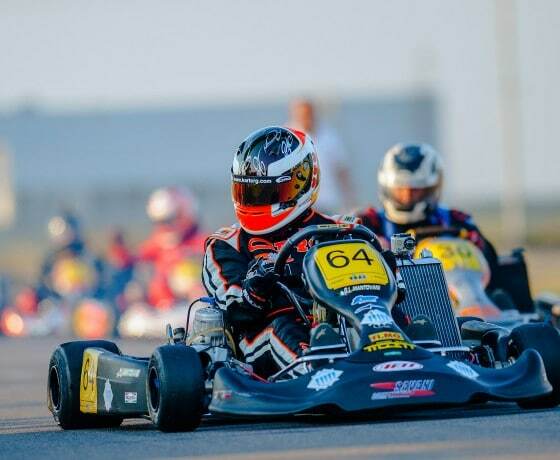 Karting is the ultimate training ground for today’s top Formula One drivers as it is a true test of your driving skills, reaction speed and endurance. 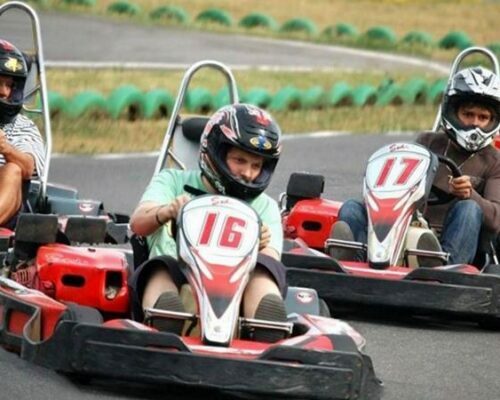 This fast and furious activity will consist of a Grand Prix karting session on a specially designed, outdoor circuit. 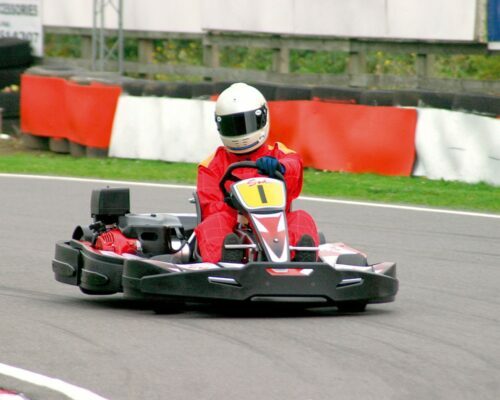 Begin with a quick briefing before you are provided with protective clothing and shown the kart controls. 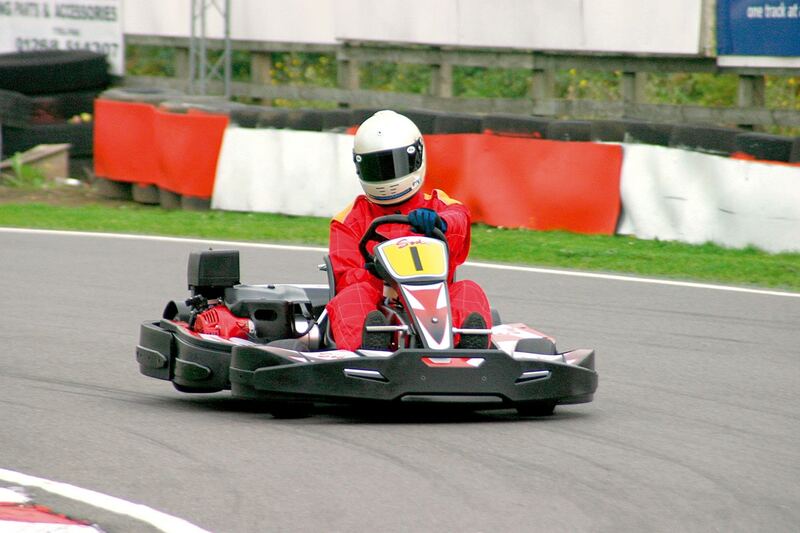 Then step behind the wheel and race at speeds of up to 70 mph around a challenging, kilometre long track in top-of-the-range karts! 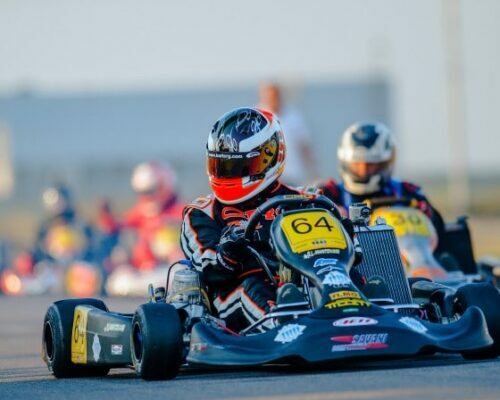 With electronically recorded lap times, contenders will have to battle hard through a series of heats to get into the final and try to win a place on the podium. At the end of your session, you will be issued with the all-important results, so you can all compare your average speeds and lap times with your mates! Then in true Grand Prix style, enjoy your podium award ceremony and presentation of the trophy to the winner! Karting is classed as an extreme sport so head protection is crucial. Regulation safety helmets are supplied. You may wear your own helmet, however it must meet required safety standards and be a full face helmet with clear visor/ googles. Comfortable, old clothing should be worn. Jeans, track bottoms are suitable provided they are not too tight/ restrictive. Light clothing is ideal. You will be wearing a fire-resistant overall over your clothes, so may find you get too warm with heavy sweatshirts/ hoodies etc. Trainers or flat boots are acceptable footwear. High heels and open toe shoes are not permitted for safety reasons.